HE SAVED HER WITH CHIVALRY. HE LOVED HER WITH SAVAGERY. 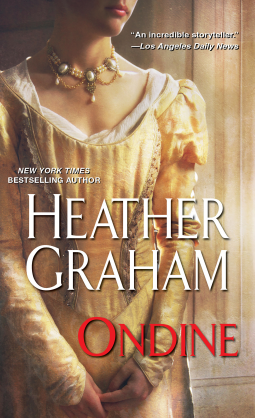 When handsome Lord Chatham rescued the golden-haired Ondine from England’s gallows, he demanded only one thing in return . . . her hand in marriage. In gratitude, Ondine consented to his plans—yet refused his touch. Though his smoldering desire aroused her own secret longings, Ondine defied her mysterious husband. Until suddenly, in the notorious court of Charles II, the sapphire-eyed beauty was plunged into a web of danger and desire, jealousy, and romance. As secrets exploded, and swords clashed in vengeance, the strangers in marriage became partners in passion, and lovers on fire . . . 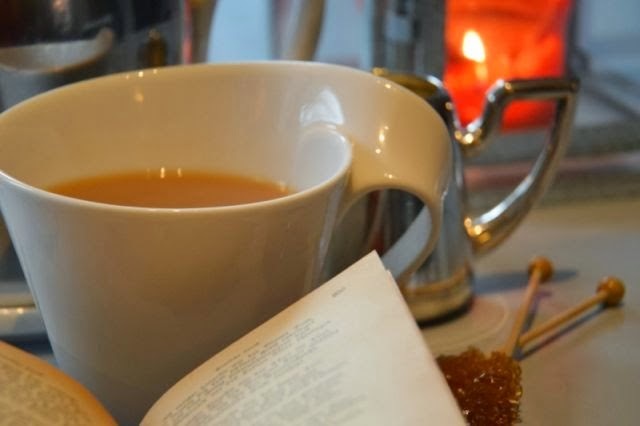 When I wrote my review for Heather Graham's book "When we touch", my last sentence was that this "was the first but definitely not the last book by Heather Graham that I have read". After having read "Ondine" I know that this sentence is still true - and that I'll definitely have to read her earlier books as well. "Ondine" was a book that I rarely put down because it captivated me from the first page on. Warwick, the fierce and hard Lord of Chatham captured my heart right at the beginning - and tested my patience almost till the end. Rough, hard but honorable to the core even when I just wanted to kick him because, you know, sometimes it is advisable to open your eyes instead of suffering for nothing just because it seems the honorable thing to do. Talking might help as well of course but hey, he is a man. Guess, that says it all, doesn't it? Nymph or gallow's bride - or both? Ondine barely escaped the hangman's noose at Tyburn Tree and she should be grateful for that and concede to her husband's wishes as it is little enough that he expects from her in exchange for her rescue. If it weren't for her own secrets and her own history it might have been easier, certainly the role he expected her to play was easy enough to play but when feelings interfere and old wrongs have to be righted, well, then things definitely get much more complicated! Like "When we touch" , this book is also much more complex than I had expected it to be. Once again I found a wonderful, thrilling and captivating story full of suspense with complex, interesting and authentic characters and a great story line. When I browsed through the book while writing this review, I found myself engrossed in it once more. I really really enjoyed reading this book and I know that I'm already looking forward to future books from Heather Graham! Alright, I loved this novella but I must admit that there were times when I was so furious when I was reading it that I almost threw my kindle at the wall. How can somebody be so calculating, ruthless and so mean and so...argh. Okay, okay, right, I mean, it is a christmas story so I was sure that I'd get my HEA for Georgiana and Lucas but it wasn't that easy to get there, believe me. Of course it is never easy to meet a former love especially if the parting was rather abrupt and left many questions open and even more if you should just by some umwelcome twist of fate find yourself and said former love as co-hosts to a bunch of very important strangers. 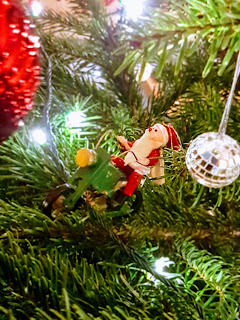 Right, exactly what happened to Georgiana and Lucas one not that very wonderful christmas. At least in the beginning it wasn't that wonderful but fortunately after a rather rough start the two of them start to talk to each other and discover some answers to those aforementioned questions. I loved that the hero and the heroine really talk to each other and don't jump from one misunderstanding to the next and I loved that they found their way back to what they had two years ago and that they still care for each other the way they did. 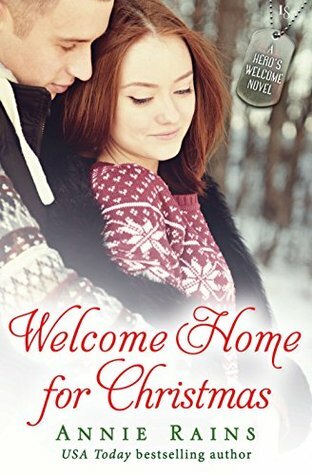 This is a very nice and sweet christmas story, well written with loveable characters that I really enjoyed. With Cait Campbell hiding Scottish fugitives from the British crown, who should arrive wearing his English-style coat but Iain Campbell, the traitorous clan leader and the man responsible for her husband's death. Iain seeks a healer for his fallen kinsman, and out of a sense of duty Cait is obliged to help. Her uncanny ability to read people is powerless against his dark, impassive gaze, yet Iain is kind in a way that moves her. In Cait's company, Iain is overcome by painful memories of his best friend, her husband, who died protecting him. But grief shows weakness—a luxury he cannot permit, because Iain is playing a dangerous game with the British army. One small misstep and he could be branded a traitor or executed as a spy. But even with political tensions mounting to a fever pitch, Iain can't get Cait out of his mind. 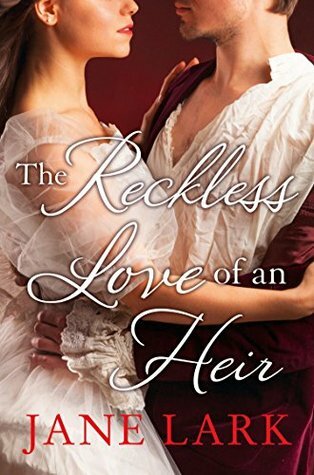 What he doesn't know is that Cait is playing a deep and deadly game of her own, and their love could put everything—even Scotland itself—in peril. As much as I loved MacLean's Passion, the second book in the Highland Pride Series by Sharon Cullen, I must admit that this third book, Campbell's Redemption is even better! Once started, I couldn't put the book down and I enjoyed every single page of it right from the beginning right up to the last page. The Campbell and I - well, I wasn't really sure what to think of him, when I read MacLean's Passion and I wasn't sure whether "we" could trust him or not but in this book and its story he really redeems himself and all his actions. I felt with him, when things went bad, I fought my tears, I smiled and I was furious while I read this wonderful and well written story about the Campbell and Cait, the widow of his former first. Reading how Cait slowly starts to trust life, reading about Ian's love for her - how could I have put the book down before knowing that everythins truly and really ends well?!? Well, as well as one can expect in such times. That was another thing that I loved about this book. 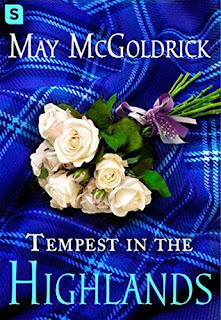 It is not just a love story even though that story and its characters are amazing but it also tells a bit more about the English and their rule in Scotland after Culloden. Usually we are almost exclusively made aware of the horrible losses and the terrible treatment of the Scots at the hands of the English. You can find all of that in this book as well, you read about the injustice, the horror, the refugees and the helplessness of the people but in this book you also get an idea what other possiblities there might have been, an idea how the Scots might even have profited from a cooperation with the English, at least on a small scale, how further tragedies might have been avoided - all the time knowing that in the end the worst happened and the clans were demolished and the Scots' weapons were taken. Nevertheless, it was good to get another perspective that never tried to minimize the horror and the loss but that tried to give hope. Well written and well plotted, amazing, complex characters - this book has it all and I can wholeheartedly recommend it! Wussten Sie, dass Cookies, die mit braunem Zucker gebacken werden, weicher und saftiger sind als die mit weißem Zucker? Oder dass Kuchen mit 16 °C kalter und schaumiger Butter perfekt aufgeht? Backen ist Kunst und Wissenschaft zugleich. Hier erfahren Sie, welches Mehl für zarte Kuchen das beste ist, welche Schokolade den verführerischsten Geschmack zaubert, wie Backpulver funktioniert - und warum manchmal auch ein Wodka die Lösung für einen mürben Kuchenteig ist. Freuen Sie sich auf mehr als 100 Rezepte und interessante Tipps zum Backen von Brot, Kuchen, Cupcakes und Co. Die wissenschaftlichen Grundlagen werden einfach und praxisbezogen dargestellt - mit vielen Fotos, Infografiken und Ergebnistabellen. So werden auch Sie zum Meisterbäcker! Wow, dieses Buch hat mich echt überrascht! So ganz sicher war ich mir nicht, worauf ich mich da einlasse, auch wenn Rezepte drin sein sollten und so, aber es klang vom Waschzettel her schon fast zu theoretisch. 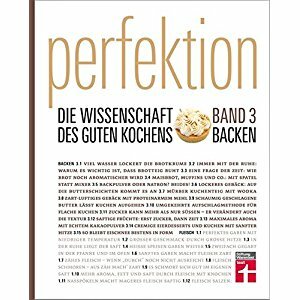 Tja, Theorie gibt es auch ganz viel, sozusagen viele, viele nützliche und hilfreiche Tipps zum Backen, sowie andere interessante Fakten rund ums Backen, Lebensmittel und deren Zubereitung. Was fügt man dem Baiser zu, damit er beim Backen schön seine Form behält, wie wenig Zucker darf man verwenden, kommt beim Sahneschlagen erst der Zucker zur Sahne oder vielleicht doch lieber anders herum, Rührmaschine oder vielleicht doch lieber der Handrührer und was um alles ist der Unterschied zwischen natürlichem und alkalischem Kakao? 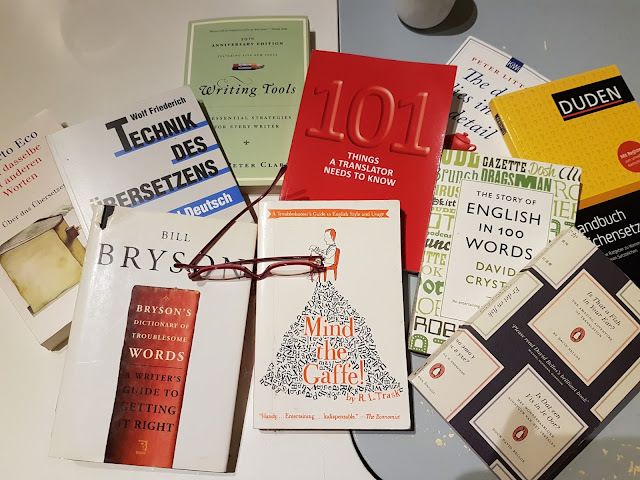 Alles Fragen, die dieses Buch umfassend beantwortet und noch viele, viele mehr. Es bringt Spaß, einfach in dem Buch zu stöbern und die Kästen mit diesem Wissen, die als "Praktische Wissenschaft" betitelt sind, durchzugehen und hier und da den einen oder anderen Tipp mitzunehmen oder diverse Informationen im Vorbeigucken zu speichern. Prägnant und auf den Punkt gebracht und trotz des sachlichen Inhalts nie langweilig und trocken, prägen sich diese kleinen Wissenshappen nämlich sehr gut ein. Aber auch sonst gibt es unwahrscheinliche praktische, meist sehr einfach umzusetzende Tipps samt der dazugehörigen Informationen, warum das so ist und wie das funktioniert, beispielsweise, wenn es darum geht, wie man eine gute Brotkruste erzielt oder warum Brötchen im sehr heiß vorgeheizten Ofen besser gehen, Beispiele für eine Glutenminimierung (Kein glutenfreies Backen, hierzu bietet das Buch keine Informationen!) oder Informationen über Mehl und wie man es am Besten einsetzt, um auch hier nur ein paar der vielen Beispiele zu nennen. All diese sehr sachlich erscheinenden Punkte sind eingebettet in Rezepte, die einfach nur Lust machen, den Ofen anzuschmeißen und loszubacken. Die Rezepte werden von ansprechenden, äußerst appetitanregenden Fotos begleitet, die allerdings passend zum Rest des Buches nicht in Hochglanz gehalten, sondern auf mattem Papier gedruckt sind, was aber insgesamt passt, auch wenn das bei Kochbüchern ja seltener der Fall ist, da es den etwas sachlicheren Charakter des Buches noch betont. Dieses Buch werde ich mit Sicherheit noch oft wieder zur Hand nehmen, wahlweise, um Informationen nachzulesen oder einfach nur leckere Sachen nachzubacken. Und wer jetzt zum Beispiel wissen möchte, wie man das schönste Kakaoaroma beim Kochen heißer Schokolade erzielen kann, ob mit Kakaopulver, Bitterschokolade oder vielleicht doch eher mit ungesüßter Schokolade...tja, der sollte sich dieses Buch kaufen, es wird diese und alle anderen Fragen, die einem so einfallen könnten, beantworten! If you love classics, if you love Manga or if you just want to know if you could love the classics, this book and - I dare say - this whole Manga Classics Series is definitely worth a look! I'm not completely sure how much I like this book. I was so furious sometimes because the hero just behaved like an insensitive, egoistical ...erm, let's say... idiot. Yes, an idiot because he is so convinced to do the right thing and that he has to suffer just to help and that he has to act selflessly and in the end, well, right, he loves her, that's why he hurt her with his stupid, absolutely egoistical and ...argh...well, idiotic ways. There's nothing selfless and just suffering because you behaved like a boar doesn't make it better. I might have thought better of him if at least in the end it would have been totally clear that it is the love for the heroine that gets him to use his brain again but that's only a part of it. He just realises what he doesn't want and what is not worth his interest and that it might be better to pursue the one he loves. Well done, right? NO. It might have been easier to deal with all this, if I hadn't taken Violette to my heart almost from the moment I "met" her. Violette is so sweet and life has been so hard for her that I just wanted to protect her because the one she loved and who supposedly loved her, our friend and hero Lawrence, didn't really do a good job of it. Well, all is well, that ends well, isn't it? So I guess, on the whole the book is good. It is well written and despite being a bit (more) upset every now and then, I really enjoyed reading it. 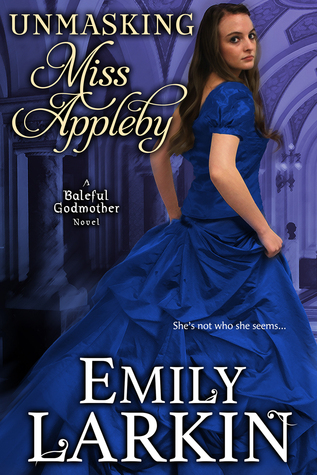 Lady Isobel Culver has no intention of falling in love. 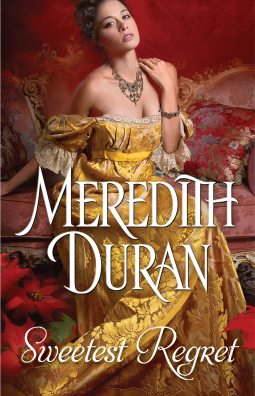 She’s on the run and can’t afford to risk giving her heart to anyone, especially a man as tortured as the Marquess of Halverston. 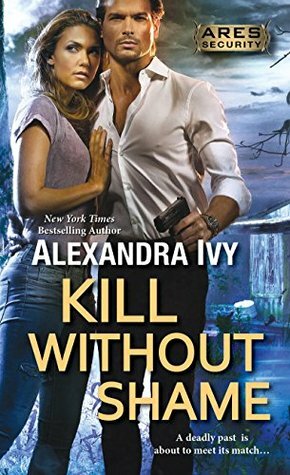 But when fate intervenes and brings her to the altar with the murderous villain her father intends for her to marry, Alexander becomes the only man who can save her. If loving her doesn’t cost him his life first. 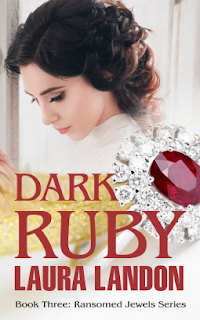 I read the other books of this series already and loved them and I read many many other books by Laura Landon as well so it wasn't such a big surprise that I also loved "Dark Ruby" and have already reread this book as well as the other books of this series. It is not just the interesting and varying stories and the wonderful, multi-facetted characters that I love but also the way those characters interact, how they care for each other how they help each other and how authentic and unique each of them is. This book is about Alexander, the Marquess of Halverston, whose kidnapping was part of "Ransomed Jewels", the first book of the series. 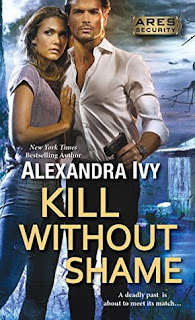 While Claire and Barnaby along with Major Bennett tried everything to get him out of there alive, they couldn't prevent him to suffer horribly at the hands of his kidnappers. Hoping that some distance and peace will help him fight his demons, he flees to one of his estate where he meets Daisy Moore, his new housekeeper - and a woman who is running from her own demons. It is wonderful to see how slowly those two start to trust and to help each other and how love helps them overcome their demons. Again Claire, Major Bennett and Barnaby are there to lend their support and to do whatever is necessary to help those they love. I really really enjoyed reading this book and couldn't put it down - and when I read the last page I just started to reread the whole series. Wow - an abundance of amazing and easy-to-follow recipes, great pictures and wonderful texts to go with the recipes, relaying historical facts or anecdotes connected to those recipes or the food discussed, personal stories to go with them or ... just wonderful stories or interesting facts that make you browse this book and read a bit here and there as if it was a novel. This book is interesting and captivating to read and it is a collection of marvellous recipes that are well presented and just want you to grab your cooking spoon and do some serious cooking. 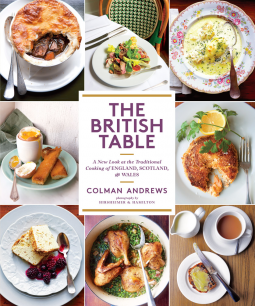 All you ever wanted to know about british food and much more that you never thought of, can be found in this wonderful book. And if you don't want to read - well, never mind, just look at the pictures! If you weren't hungry before you started reading, believe me, one look at the photos andthat will change! I really really love this book and I'm looking forward to trying many more of the recipes! Welcome Home for Christmas is one of those "Feel-Good-Stories" that are an essential part of all this chrismas-feeling going on at this time of the year. 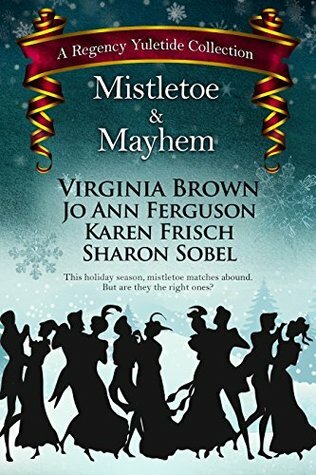 Who doesn't love a sweet and romantic version of the Christmas Carol (especially with a Marine who definitely doesn't resemble Scrooge at all and a heroine who is, well, better looking and sweeter than Scrooge's nephew either)? The story is well plotted and well written. It made me laugh and swoon and of course, it also made me roll my eyes - just the way a good romance should. I really enjoyed reading it and I loved to see how Troy and Allison find their way to each other despite all the well meant advice given to them and their own personal insecurities. A heartwarming, wonderful story, great characters and a big basket full of christmas feelings - just right for a nice evening at home, snuggled up in your favorite chair with a nice cup of tea at your side. I've read many books by Jess Michaels already and loved each and everyone of them. This one, which is the third in the "Seasons"-series, is every bit as amazing as the other ones. 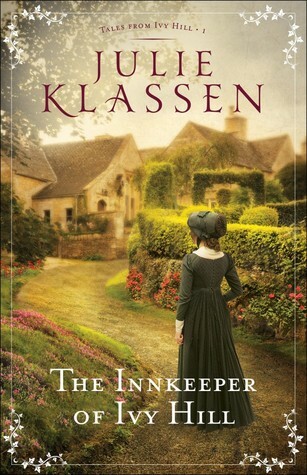 Those of you who have read the wonderful "An Affair in Winter" or " A Spring Deception" already know most of the main characters - and I'm sure that you'll love to see what becomes of Lucien and Elise whose former engagement and its unfortunate ending were the driving force behind Grant's involvement in "An Affair in Winter" which led him to Rosalinde. Some chemistry can't be denied, as Lucien will find out for sure. A wonderful book with complex and authentic characters - I love it! I loved this book and couldn't put it down. It is not just well written and has amazing, authentic characters but it is also imaginative and very special. You know, this touch of something different that makes an ordinary story like "she loves him, he loves her and thy find each other against all odds" rather special and something that captivates you. 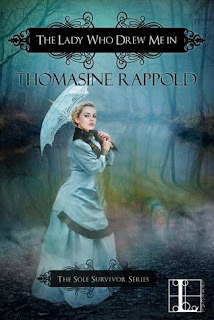 First I was a bit wary because I wasn't sure, considering the part about faeries and shape shifting and such stuff, if the book wouldn't be a bit too fantastic because I was in a mood for something decidedly romantic. Well, it is romantic - and much more. This book took me on a ride on an emotional roller coaster with the romantic parts (and others) and at the same time I loved how natural the shape shifting part was. 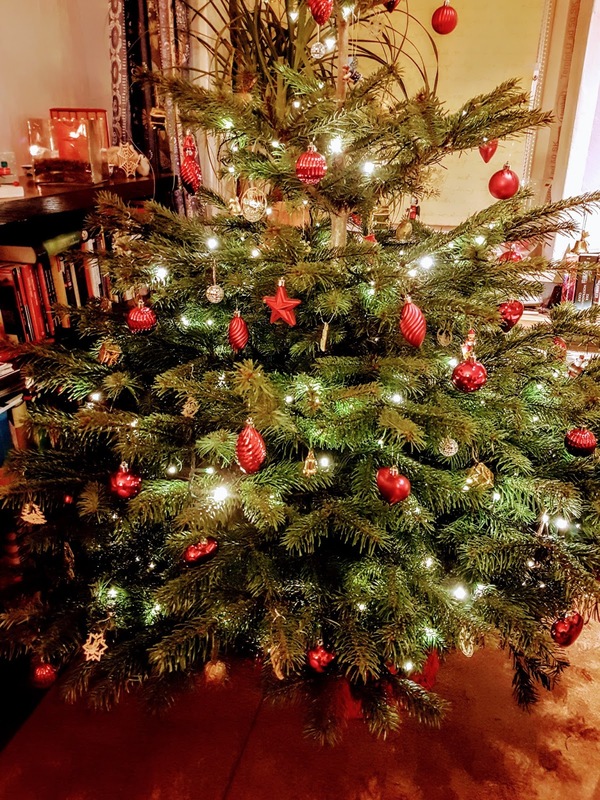 It just fits in, people get used to it and it is just a means to an end - and of course it is fun as well. Who did never dream of flying, for example? The book touches sensitive subjects in an equally sensitive way. Sometimes I was furious, I was shocked, I was sad - alright, there might have been a tear or two - and I was also very happy and a bit (more) sentimental. I thoroughly enjoyed reading this book and can definitely recommend it! 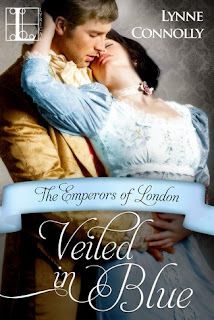 I can't say how often I've read "Rogue in Red Velvet" already, the first book in the "Emperors of London"-Series and I've never realised that it is a whole (wonderful) series! Well, naturally I've tried to make up for this oversight since I've found out. "Veiled in Blue" is actually the sixth book in the series and I loved it as much as I loved "Rogue in Red Velvet". When I started to read "Veiled in Blue", I was thrilled to meet some of my favorite characters from the "Rogue" again right at the beginning. Even though this story is the story of Julius, Lord Winterton whom we met already in "Rogue in Red Velvet" and Eve Merton, another one of the descendants of the last Stuart King of Britain, we get to meet several of the other Emperors from the former books and find out how their stories went on. series as well as this book are really highly recommendable. Each of the books can be read as a stand-alone but I guess that my example shows that this won't do for long and that you'll probably want to read all the others as well once you've started. This was again a book that I really enjoyed and that made me laugh and cry and grin and...well, you get what I mean. When Lord Henry Marlow comes back to his parents estate to recuperate after a near fatal accent, Alethea is already waiting for him. And she is waiting for a proposal. Impatiently. Even though they have known each other since childhood and have been meant for each other since then, they are not officially betrothed, yet, and Henry doesn't really want to change this status. I really loved to see the change in both, the hero and the heroine. Henry, who becomes more aware of those around him and Susan who slowly steps out of her sister's shadow and blossoms. The characters are well developed and authentic, the side characters as well as the main characters. The story is interesting, well spun and well told. 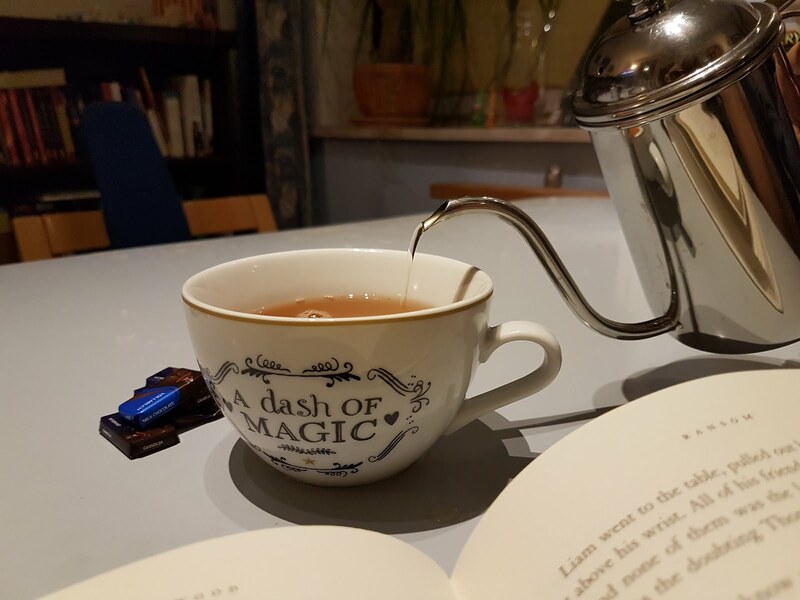 The moment I finished the book I looked for other books by Jane Lark so, well, I can definitely recommend this book..
"Hilo 01: Der Junge, der auf die Erde krachte..." ist ein etwas chaotisches Buch, aber die Geschichte ist ausgesprochen liebenswert und ich denke, viele der als Zielgruppe angepeilten jüngeren Leser können sich mit den Helden gut identifizieren, insbesondere, da Daniel, der Junge, der den Jungen findet, der auf die Erde gekracht ist, ein ganz normaler, nicht wirklich selbstsicherer, sondern etwas eigenbrötlerischer Junge ist, dem nicht die ganze Welt zu Füßen liegt. Wer sich mit Daniel nicht identifizieren kann, findet in Gina mit ihrem Pepp noch eine schöne Identifikationsfigur - und alle anderen genießen einfach so diese spannende, toll gezeichnete und schön gemachte Story! 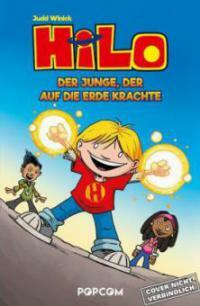 In Richtung Graphic Novel/Manga gehend, ist Hilo eine wirklich fesselnde Geschichte, die mit viel Bild und wenig Text aufwartet, wie das bei Comics jeder Art nun mal so ist und so vielleicht auch den einen oder anderen Lesemuffel dazu bewegen kann, zum Buch zu greifen. Bei Comics finde ich immer die Art der Bilder wichtig, da es ja leider auch viele nicht wirklich schön gezeichnete Comics gibt. Diese hier sind fröhlich und klar gezeichnet und insgesamt sehr ansprechend. 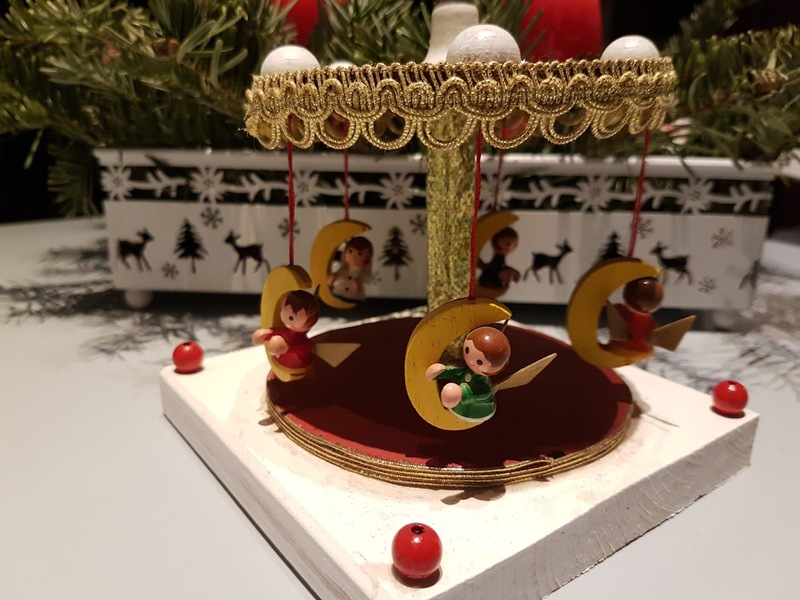 Als Altersgruppe sind Kinder von 10 bis 12 Jahren angesetzt, allerdings denke ich, dass man auch schon jüngere durchaus für diese liebenswerten Geschichte begeistern kann, in der es auch viel um Freundschaft geht und darum, wie man sich selber wahrnimmt. Just a short impression because I really didn't know what to make of this book. I have already read another book by Frances Fowlkes and liked that alright but somehow this one and I didn't get along. 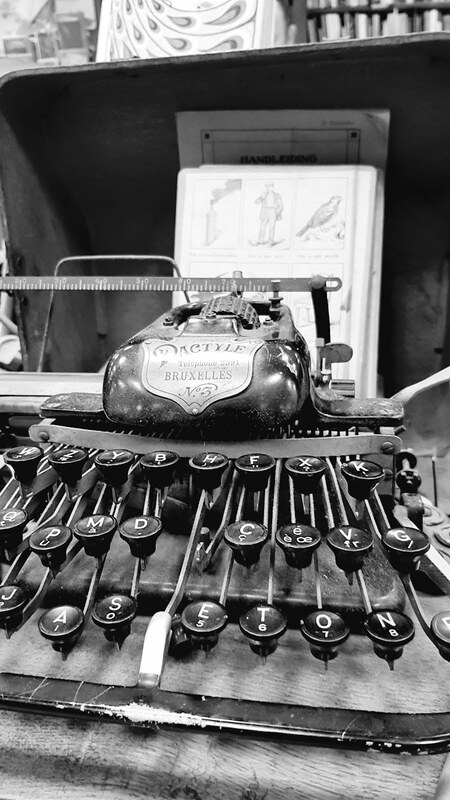 The story sounded intriguing and the writing was okay but I really couldn't get into it. I started to read it several times and never got really far because I lost interest. In the end, when I finally finished it, it was on the whole a, well, a nice story but it lacked some substance and some real action. Unfortunately the characters lacked substance as well and couldn't make up for the lack of action. They were very likeable but rather one-dimensional instead of complex. I wasn't sure how to rate it because I'm not sure if we just got of on the wrong foot because it is well written, so I settled down for three very weak stars. Sündige Soulfood-Rezepte für Tage, an denen die Seele durchhängt und der Magen knurrt oder auch einfach für Genießer und die Lust am Essen. Der erste Kommentar meines Mannes als er in diesem Kochbuch blätterte, war, dass das ja mal ein Kochbuch ist, das normale Rezepte enthält und nicht nur extrem gesunde oder extrem "irgendwasse" Rezepte. 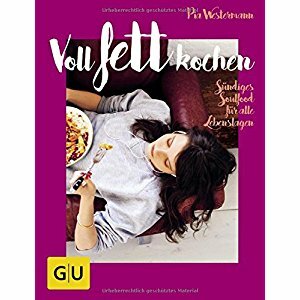 Ich muss ihm da ja Recht geben - viele Kochbücher heute widmen sich tatsächlich nur noch der Frage, was wie gesund ist und wie man sich ernähren soll. 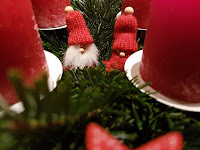 Rezepte rein um der Rezepte und des guten Geschmacks wegen, gibt es nur noch selten. Wer gerade Diät macht, sollte entweder nicht zu diesem Buch greifen - oder sich einfach gedanklich darauf vorbereiten, die Gerichte entsprechend abzuwandeln, vieles davon lässt sich nämlich durchaus auch ein wenig kalorienärmer gestalten und ganz ehrlich, manchmal darf man auch einfach schlemmen und etwas einfach deshalb essen, weil es einem schmeckt und zwar genauso so - mit Fett und Sahne und Zucker und allem, was so verpöhnt ist. In diesem Buch finden sich "normale", leckere Rezepte, die keinerlei Weltanschauung vertreten, keine besonderen Ernährungsphilosophien repräsentieren, sondern einfach nur schmecken wollen. Mit Sicherheit sind sie nichts für jeden Tag, weil sie doch sehr gehaltvoll sind, das gebe ich ja zu, aber für ab und an, um sich mal etwas anders zu gönnen oder weil einem einfach nach fettig und zuckrig ist (oder schlichtweg nach genau diesem leckeren Essen), finden sich hier wunderbare Rezepte, von denen meine Familie sofort begeistert war. Ob flüssig wie etwa heiße Schokolade mit Marshmallows oder Victoria-Spritzkuchen, Reuben-Sandwich, Zitronen Carbonara oder selbstgemachte Cheese Crust Pizza, süß, deftig, sättigend oder zum Naschen, hier findet sich für jeden Geschmack etwas und dank der übersichtlichen und ausführlichen Anleitungen sollte es auch kein Problem sein, die Rezepte auch gut nachzukochen! 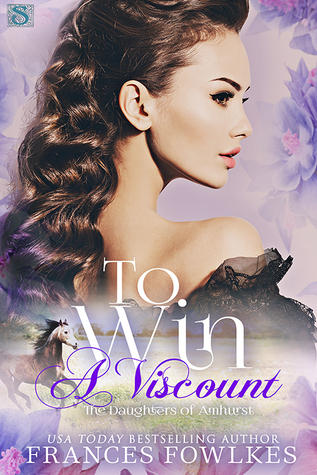 When the Countess of Nevern writes to say that her son, Viscount Pamyngton, is unexpectedly returning home to Nevern Hall, Lady Denham sees a perfect opportunity for one of her daughters to capture him in holy matrimony. The only question is which girl will he choose? 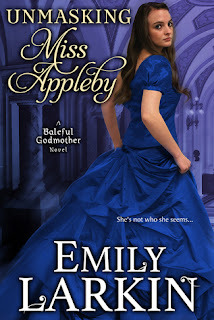 Of the three Denham girls currently out in society, Eleanor is deemed the most attractive, even if she is rather young, and quite fancies the idea of marrying Pamyngton and becoming the next Countess of Nevern. 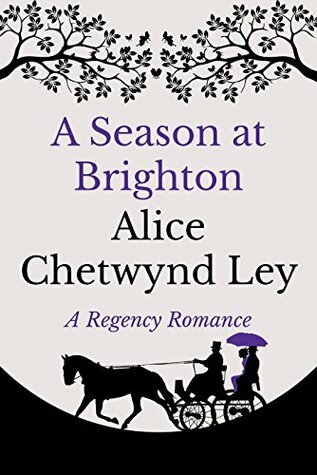 Louisa, the eldest, cares not a jot for Pamyngton or his title, as her heart lies elsewhere — she is hopelessly in love with a clergyman whose meagre living makes him an entirely unsuitable suitor. And Catherine is an impetuous little minx, who often speaks without thinking and is far too flighty to be the wife of a viscount! This is not the first time a union between Nevern and Denham has been contemplated. Plans were once made for a marriage between Pamyngton and Fanny Denham, the oldest of the six Denham girls, but when the viscount fell madly in love with the beautiful Georgiana Eversley, the wedding was cancelled. Fanny is now happily married to a colonel and residing in Brighton — and Louisa, Catherine, and Eleanor have been greatly looking forward to visiting their sister on a bit of a holiday. But Pamyngton’s arrival at Nevern Hall throws these intentions into disarray. Lady Denham has absolutely no intention of letting any of her girls out of her sight as long as Pamyngton remains nearby. But Catherine has other ideas and determines that she shall just have to make her way to Brighton herself. Her adventure quickly runs afoul as she discovers the dangers of being a solitary young woman walking the roads with neither protection nor money. So when a mysterious stranger helps her to return home unscathed she is deeply grateful. 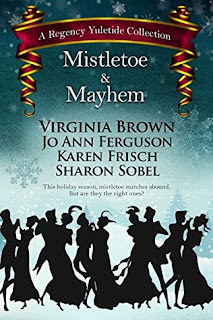 However, Catherine is mortified to discover the next day that her handsome stranger is the very same Viscount Pamyngton that her mother desires her to marry. Desperate to avoid further embarrassment, she does her best to avoid Pamyngton all together. But it’s only when he starts to take an interest in her older sister Louisa that Catherine realises her true feelings. Is she already too late…? When Viscount Pamyngton returns home, he is a bit astonished to learn that his mother, the Countess of Nevern, is setting him up to get married. She and her friend Lady Denham think that he'd do well to marry one of the many daughters of Lady Denham. I mean, five girls still unattached call for desperate measures, don't they? And the same counts for an unmarried son of 30 who shows no intention of changing his marital status, obviously, at least according to his mother. That's why the poor daughters of Lady Denham are not allowed to go to Brighton as promised. Now we come to said desperate measures again because not all of the young ladies are content to sit around and wait for a certain Viscount instead of going to Brighton. So that's how Catherine Denham ends up being rescued by Viscount Pamyngton when she tries to travel on her own to Brighton. Due to this rescue those two get to know each other rather well - and, well, let's say that at least one (or maybe even both) of them wouldn't mind to deepen this relationship but alas...nothing is ever that easy, is it? 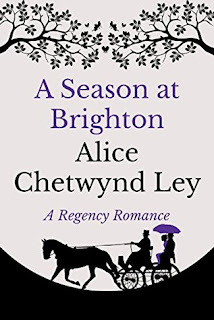 I really loved the well developed characters in this book, especially Catherine, the second eldest of the "available" daughters who cares for each and every one, gets upset very easily but gets over it just as easily either. Her spirited and forgiving nature paired with her natural wit turned her very quickly into my favorite characters but her elder sister Louisa was very sweet as well - and I must admit that I was a bit upset to see how she was suffering because she is not allowed to be with the one man she really loves. Viscount Pamyngton was also a very charming and nice character whom I liked a lot. The story itself is reliable and apart from some twists foreseeable but in a good way. 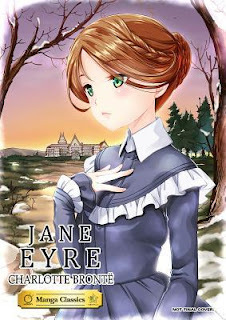 It is not just another one of "those stories" with exchangeable characters but you get the kind of story you expect and it is the characters and the wonderful telling of the story that make the difference and turn it in an interesting reading experience that you'll enjoy and cherish, at least that's what I did.